Regular Price: €70.31 per 48 pcs. Special Price €35.15 per 48 pcs. 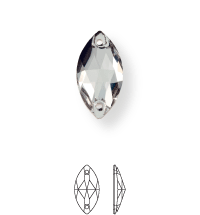 BLUE NIL PREMIUM BN3223.32X15.BN011AUR Navette sew-on stone flat 2 hole 32x15mm Crystal Aurum F (BN011AUR) - for available sizes and colors, please refer to the product configuration. These are original BN3223.32X15.BN011AUR Navette sew-on stone flat 2 hole 32x15mm Crystal Aurum F (BN011AUR) by BLUE NIL PREMIUM in their original packing.